New Volunteer Orientation – Love your neighborhood? Want to help it from the comfort of your own home? was written on March 11, 2013 and filed in Inclusion, Minneapolis - US, Minnesota, Neighbor Neighbourhoods, News, St. Paul - US. 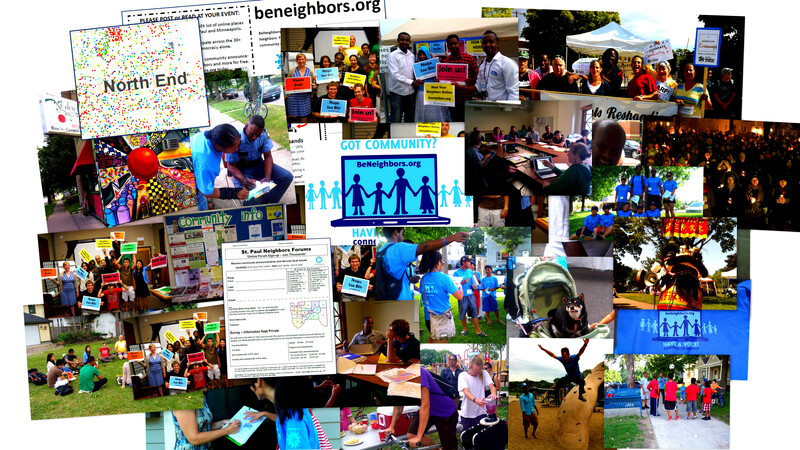 New Volunteer Orientation – Love your neighborhood? Want to help it from the comfort of your own home? Attend the next Volunteer Orientation/Training on Wed. March 13, from 6:00 – 8:00 p.m. and you can be a community builder too! E-Democracy is launching a new Volunteer Program. For years, we’ve relied heavily on committed volunteers to successfully build the neighbors and issues forums. Now, as our forums have grown larger and more resources have allowed us to go deeper into Saint Paul neighborhoods, we’ve found it essential to bring in even more skilled neighbors as volunteers. Are you interested in being a part of a stronger and even more connected neighborhood? Would you be willing to volunteer an average of 2 hours a month from home? Many of our new volunteer positions involve sharing important information online with your neighbors, helping to build a welcoming and neighborly atmosphere on and offline, or sending a review of that new restaurant in the area. Take a look at these exciting new volunteer positions and ask yourself what you could do to help make your neighborhood an even greater place to live! Monitors announcements and discussions, encourages participation, and objectively enforces the forum rules to maintain civility. As a forum leader, they work in conjunction with E-Democracy staff to involve forum volunteers in generating community value from the forum. This personable volunteer is the kind of the person who brings cookies over to the new neighbor in the “real world.” Their role is to invite, welcome and support new forum members. They are an outreach ambassador at community events and help build a welcoming atmosphere on the forum. This information-seeking volunteer has a passion for community news, happenings, and history. They monitor, read and share news and announcements from different sources that have local relevance. They might also love sharing neighborhood photos and finding historical stories of how the area grew over time. This volunteer has a deep passion for cross-cultural communication, connections, and understanding. Whether they share information from local ethnic organizations or introduce local cultural activities of their own or other diverse groups of neighbors, this volunteer is a bridge builder. This volunteer supports the goal of raising all local voices and assisting immigrant forum participation. An example might be sharing information about local events in the Holy Month of Ramadan or prompting a Muslim member of the community to share their experience of the celebrations. Although we are primarily an online organization, one of our goals is to use our online networks to bring neighbors together in-person. We see ourselves as a “virtual icebreaker.” This volunteer organizes in-person events for forum members to get together, have fun, build community, and engage in local conversations. Forum potlucks and picnics are a great way to build forum engagement and increase neighborliness online. This volunteer gathers web links from community groups, etc. across the neighborhood and adds them to the Neighbor Forum’s community links page. They may also produce a regular round-up of very local events compiled from community websites (weekly or monthly). Volunteer Orientations/Trainings are held monthly. The next training will be Wednesday, March 13th from 6:00 – 8:00 p.m. at Kings Crossing Senior Living Apartments (on the corner of University Ave and Dale St, Saint Paul). If you are interested in attending this training or another, please fill out this form and you will be contacted by the Volunteer Coordinator. You can also email her directly at corrine.bruning@e-democracy.org. 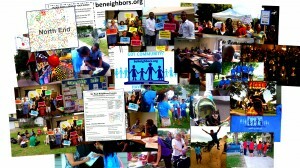 Add a comment to the blog post New Volunteer Orientation – Love your neighborhood? Want to help it from the comfort of your own home?